My second contribution to this year's #GreatHallowTweet are these sweet and spicy pumpkin seeds. Be warned, these are addictive. I almost ate the entire bowl, but I showed my usual (ahem) restraint. What? It could happen. Enjoy! 1. Preheat your oven to 350°. 2. Whisk the egg white, brown sugar, spices and salt in a medium bowl until foamy. Those sound delicious. I've never done them any way other than just plain old cooking spray and sea salt! A little spice is nice! This recipe just talked me into carving a pumpkin. I bet they are addicting. 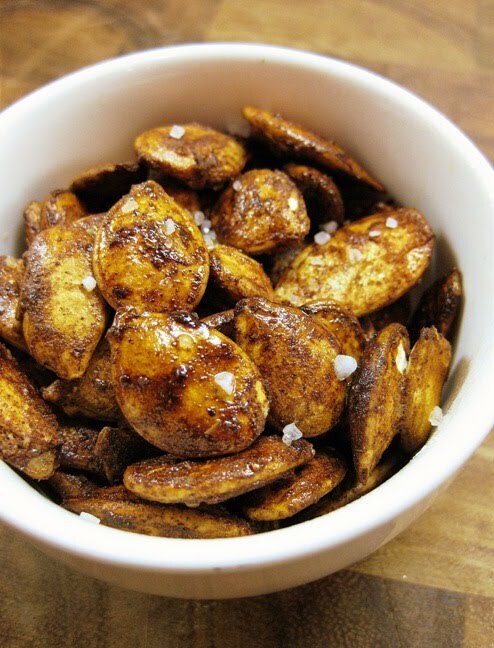 Oh, these sound perfect for snacking! This is a nice appetizer. I would love to try some this Halloween. Perfect. 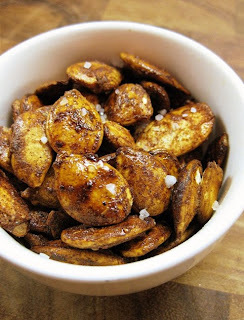 I love pumpkin sees but have never done more than salt them, these sound so tasty!